Mantic posted up some details about their upcoming Clash of Kings event coming next month. 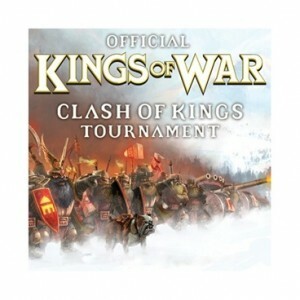 Clash of Kings will be held at the Mantic HQ in Nottingham on the 11th and 12th of October. There are less than 15 tickets on sale so join in before they’re gone! The ticket includes entry to the tournament and lunch on both days. Download the tournament pack here for details. And don’t forget – all of the basic rules and army lists for Kings of War are available to download for free from our website. There are various prizes to win too! So come and take part in Mantic History. Will the King fall?